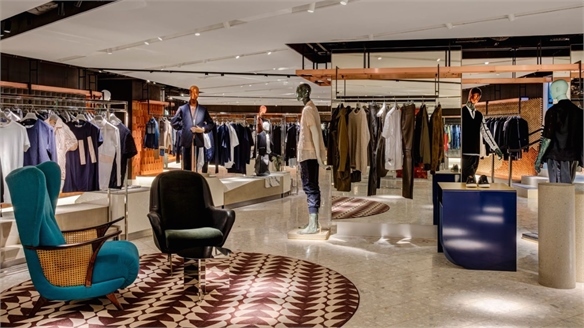 British department store Harvey Nichols has reopened its Birmingham store after extensive refurbishment with a design that trades on cutting-edge digital technologies and design cues borrowed from the hospitality sector. Located in upscale shopping mall The Mailbox, the flagship, which was designed by London-based agency Virgile + Partners, spans 45,000 sq ft. The entrance features a 39ft-long 'immersive tunnel' of LED screens showing seasonal imagery, such as sunny meadows and autumn leaves. 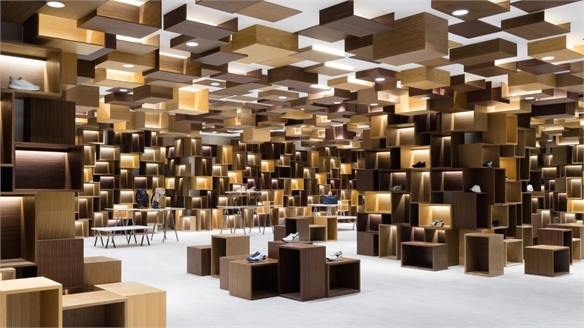 For more on innovative treatments and strategies for entrances and facades, see also Limbo Spaces and Sports Retail Reinvented. 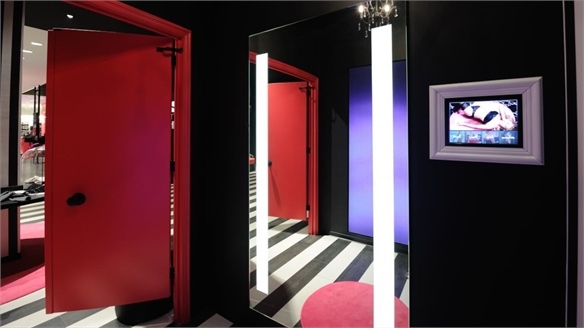 Another key digital element is its '360-degree' changing-room mirrors, which enable consumers to record their look from all angles as a video, replay it and share via social media for advice. 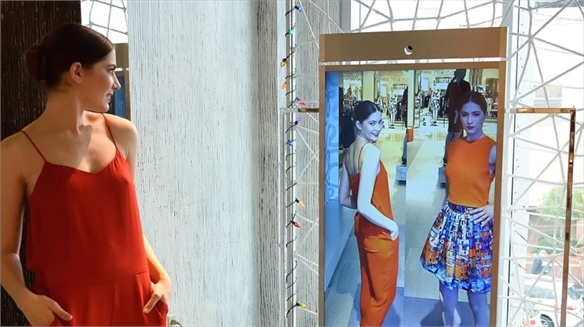 For more fitting-room innovations, see Neiman Marcus iLab: Interactive Retail Fixtures and Future-Facing Fitting Rooms. See also The Social Media Sell Revisited, Elevating Eyewear and the Omni-Channel Retail Space for more on the power of sharing. 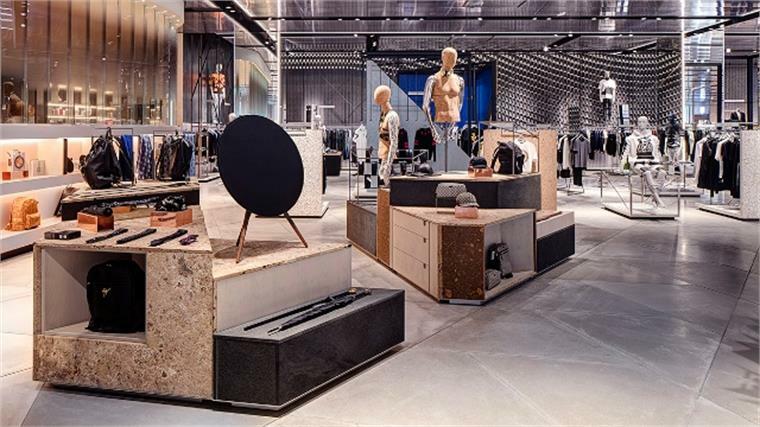 Drawing on the hospitality sector to ensure the digital elements transcend gimmick as part of a more holistic redesign, the store offers concierge services such as valet parking and a cloakroom. There is also a restaurant headed by local Michelin-starred chef Glynn Purnell. Shadi Halliwell, group marketing and creative director at Harvey Nichols, said: "Customers have told us they love going into hotels, getting rid of everything as they walk in and having it all taken care of." 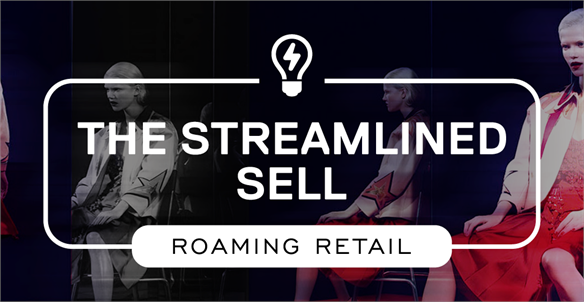 For more on the rise of concierge culture in retail, see The Streamlined Sell, part of our Industry Trend Roaming Retail. 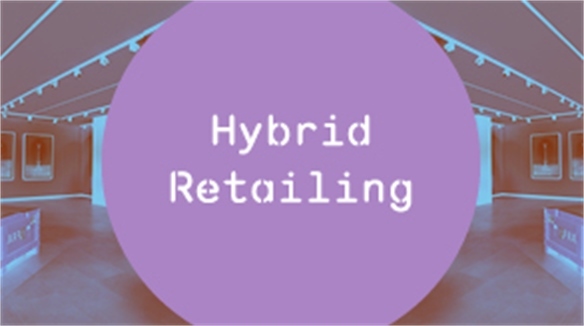 For more on hospitality-infused retail, see Hybrid Retailing and Retailer-Restaurants. There are no concession stores, till points (iPad-equipped staff take payments anywhere in the store, excluding the beauty department – see Subtle In-Store Tech for more) or defined walkways for consumers to follow, refocusing the journey on a more serendipitous style of exploration. 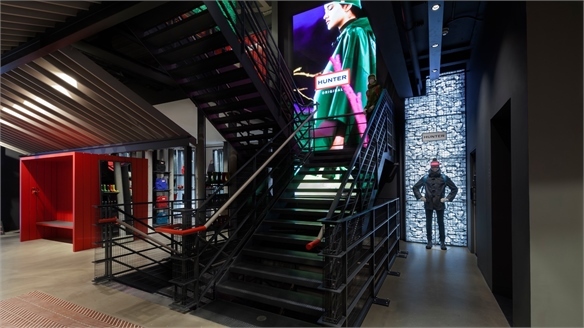 Carlos Virgile, director of Virgile + Partners, comments: "We thought it unnecessary to have such rigid walkways and ways of guiding people through the store. We have given them more freedom to explore. People can move in any direction and will always find something interesting at the end of that journey." For more on this tactic, see Future Store Environments: Layout, Mood & Ambience and Retail Beyond the Algorithm: Serendipity & Exploration, part of our upcoming Macro Trend Get Real, publishing on September 18. The opening coincides with the launch of Harvey Nichols' loyalty app. It encourages consumers to collect points for money spent in-store, which can be swapped for personalised rewards such as experiences (a champagne dinner at London's Oxo Tower, for instance) or gift vouchers. 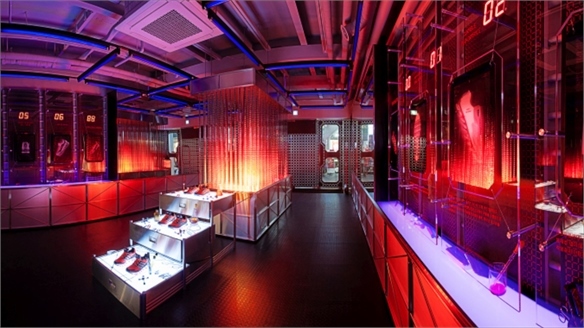 For more, see Redefining Consumer Loyalty for Digital Natives. 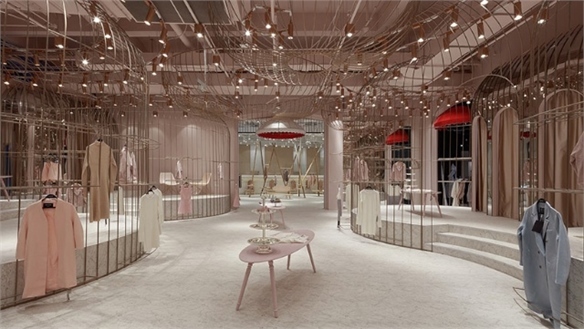 The new design concept will soon be rolled out to other Harvey Nichols stores – including the seven-storey Knightsbridge flagship in London in spring 2016. 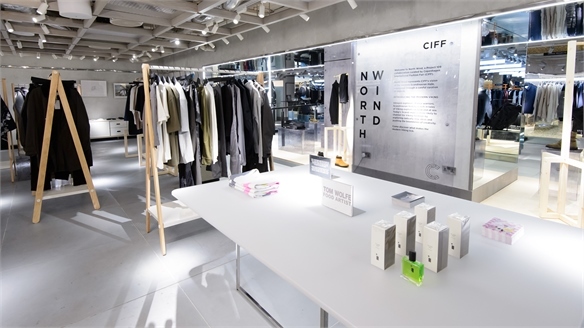 Pieces' New Fashion Concept Store Drives Creativity, Holland New Fashion Store Drives Creativity Danish fashion brand Pieces has launched a discovery-led concept boutique in Den Bosch, Southern Holland, banking on customers’ inventiveness and desire for co-creation. Retail City Guide: London, October 2016 Retail City Guide: London, Oct '16 Hybrid dining concepts, imaginative denim destinations, a rush of fashion flagships from Middle Eastern and Asian labels and a seminal art exhibition exploring vulgarity in fashion – these make up October's eclectic creative crop. 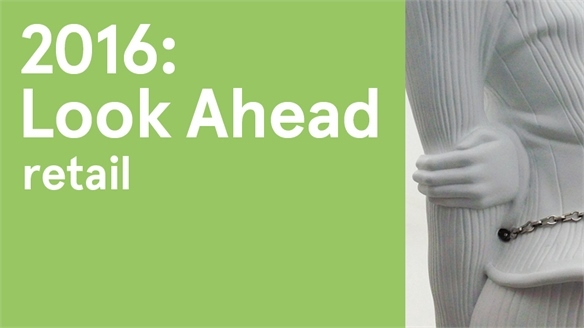 We select the happenings not to be missed this month in London. 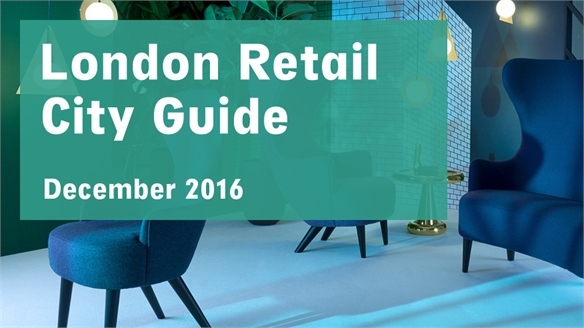 Retail City Guide: London, September 2016 Retail City Guide: London, Sept '16 September 2016 has creative inspiration in spades, courtesy of the annual London Design Festival and several audio-visual exhibitions. 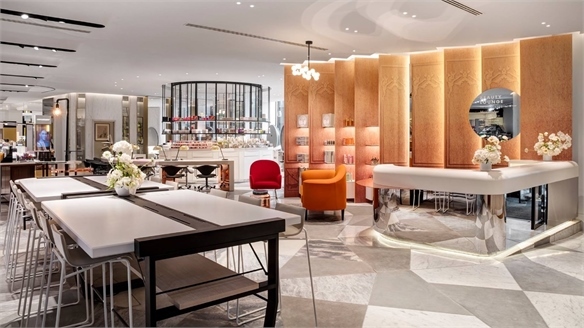 Innovative new openings cementing the creative fuel include a major beauty department reboot and a streamlined café concept. Stylus selects the essential happenings. Retail City Guide: London, August 2016 Retail City Guide: London, Aug '16 With highlights including retail beauty labs, boutique tech playgrounds, Nordic performance art, a Kubrick-inspired exhibition odyssey and an almost entirely shoppable hotel in London's trendy East End, London in August offers rich pickings in terms of creative fuel. We select the highlights. Harvey Nichols' Playful Super 'Beautique' Harvey Nichols’ Super ‘Beautique’ UK department store Harvey Nichols has opened a luxurious, supersized Beauty Lounge in its London flagship that embraces the trend for more discovery-oriented, intuitive retail experiences – as already trialled in both its Birmingham store and its London menswear department. Retail City Guide: London, July 2016 Retail City Guide: London, July '16 Fashion and beauty are well represented in London this July with a burst of male grooming concepts and a rush of European fashion openings – but it's art that dominates. Sensational solo shows and spin-off projects tethered to giants of styling, painting, cinema and more deliver multi-sensorial feasts. We select the highlights. 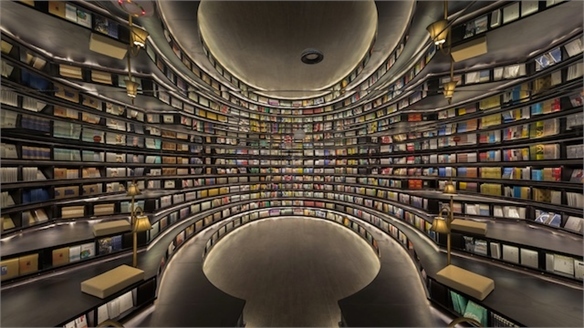 New Bookstore Formats: Innovative & Inspiring Innovative New Bookstore Formats Bricks-and-mortar bookshops are re-finding favour with consumers, forging intriguing new formats. Sales in physical bookstores in the US alone grew by 2.5% last year – the first increase since 2007 (US Census Bureau, 2016). 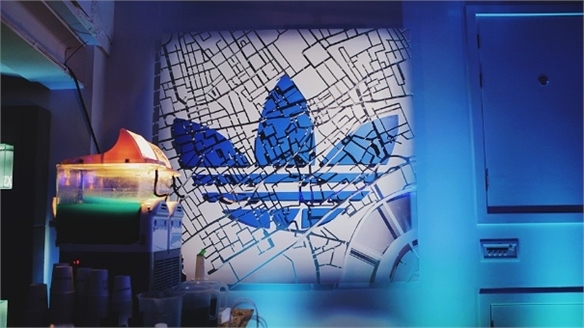 We list the latest strategies boosting in-store engagement, from on-demand commerce and enforced digital detoxing to ultra immersive visual merchandising. Retail City Guide: London, June 2016 Retail City Guide: London June 2016 London is brimming with unconventional inspiration in June. From robotic and 'unzipped' architecture, to new-gen homeware showrooms and fresh menswear spaces just in time for the catwalks, we select the highlights. Retail City Guide: London, May 2016 Retail City Guide: London, May 2016 A rush of menswear stores, a conceptual art super-show, an ultra niche pop-up restaurant dedicated to avocado and a liquid nitrogen ice cream parlour headline an eclectic crop of creative hotspots for May. We dissect the month's must-see destinations for visual and cultural inspiration. El Palacio De Hierro Luxurifies the Mexican Dept. Store Luxurifying the Dept. 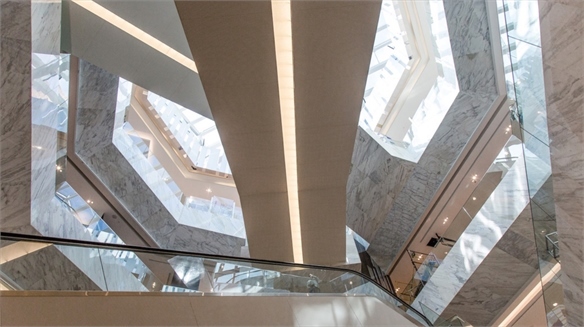 Store, Mexico After extensive refurbishments, El Palacio de Hierro has reopened its Mexico City flagship with a 650,000 sq ft concept that makes it the largest and most luxurious department store in Latin America. Redefining Consumer Loyalty for Digital Natives Redefining Consumer Loyalty Amid a landscape of comparison websites, discount forums, 'showrooming' and a largely brand-promiscuous mindset, loyalty is ready for a revamp. 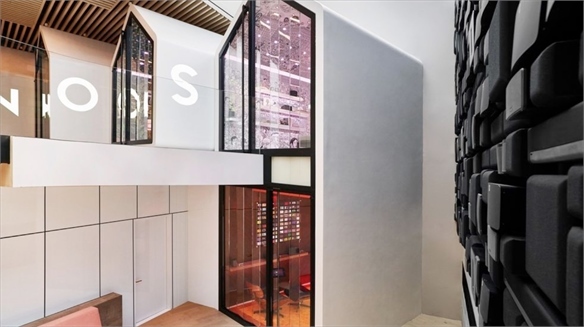 We track the best new programmes attuned to digital natives including mobile-first, pick-and-mix personalisation and social media-oriented tactics. 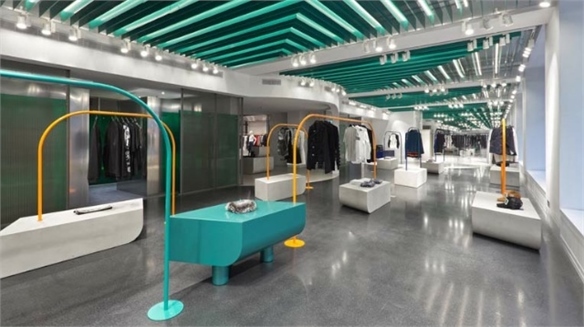 Neiman Marcus iLab: Interactive Retail Fixtures Neiman Marcus: Interactive Fixtures Luxury US department store Neiman Marcus has launched a series of interactive in-store concepts poised to elevate the value of some of its most standard retail fixtures. 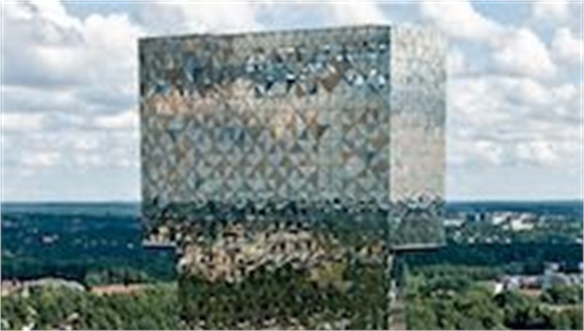 The move was fuelled by its in-house innovation centre iLab (an internal department launched in 2012 to explore new tech tools). 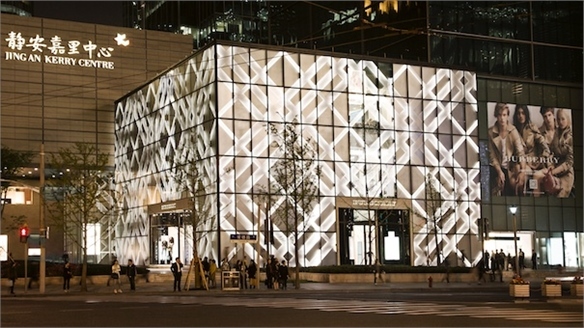 Digital Façade, Burberry Shanghai Burberry’s Digital Façade, Shanghai Building on the success of its digitally fuelled flagship on Regent Street in London, British luxury brand Burberry has launched a similarly high-tech concept to announce the arrival of its largest Asia-Pacific store yet, in Shanghai. 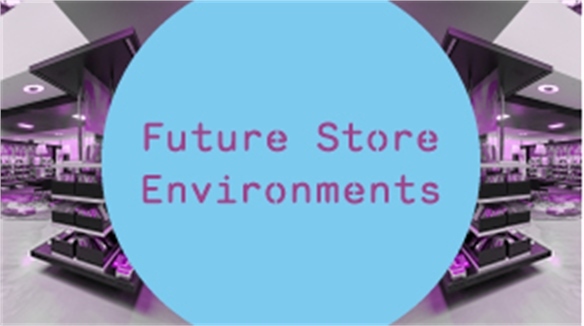 Future Store Environments: Layout, Mood & Ambience Future Store Environments How will new store-design directions affect the mood and ambience of the retail environment? Our series of interviews with leading global architects and designers reveals rising aesthetic directions.